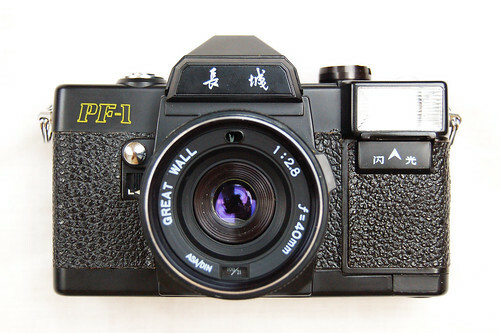 The Great Wall PF-1 is an SLR in compact camera style, copied from the Fujica ST-F.
A variation is also available known as the AViVA PF-1. 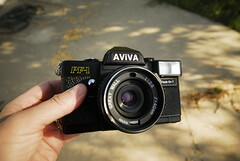 It is the exact same camera but with AViVIA on pentaprism and Flash On in English instead of Chinese. 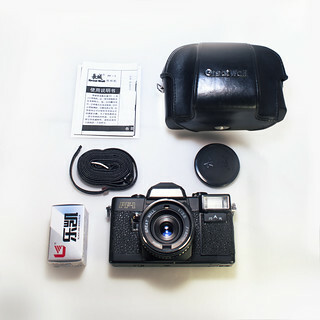 Other branded models include Naigai SRF, Continental TXL and Hanimex 35 Reflex Flash. This page was last edited on 27 June 2018, at 05:28.